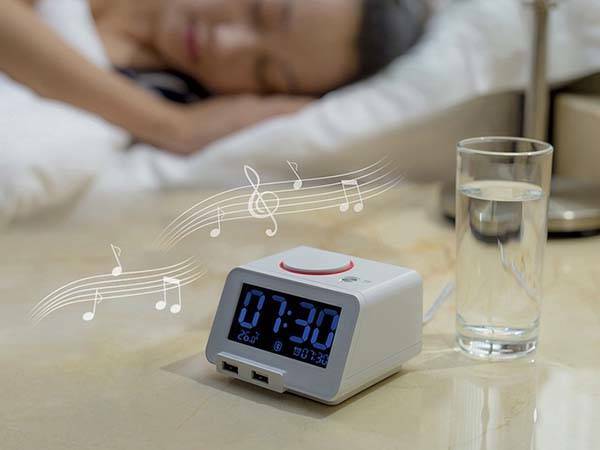 The 3-in-1 bedside gadget not only wakes you up every morning, but also charges your mobile devices and delivers your favorite music. Cool? Let’s go on for Homtime’s C1pro alarm clock with Bluetooth speaker and USB charger. The C1pro is a multi functional alarm clock that measures 102 x 65 x 102mm. The versatile alarm clock shows off a compact and cute design, with a uniquely design time-set button, you can easily set time and alarm, and its LCD screen shows you time, alarm, temperature and other info, moreover, the C1pro has an inbuilt microSD card slot that allows you to set your favorite music as alarm. 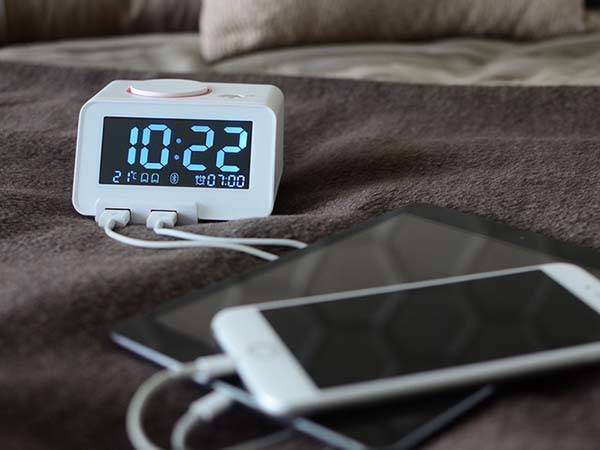 Furthermore, the alarm clock works as a Bluetooth speaker that delivers you your favorite tunes, and integrated USB charger has a 1A USB port and a 2.1A USB port in order to charge your smartphone and tablet at the same time. Apart from that, C1pro is powered via an included power cord or 3 AAA batteries. When using batteries, the alarm clock lasts approx 3 months. The C1pro has been available for preorder. You can pledge $49 to preorder the alarm clock with Bluetooth speaker and USB charger. It will be shipped in September this year. If you’re interested, jump to Kickstarter for its more details. Additionally, if you want more choices, you may like to check W2 Bluetooth speaker and more via following tags.